An egg inside an egg? 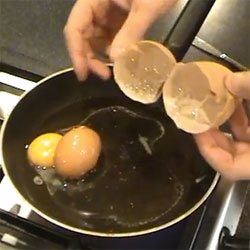 A man cracks up an enormous chicken egg to discover another, complete normal sized egg inside. Find out a bit more here.